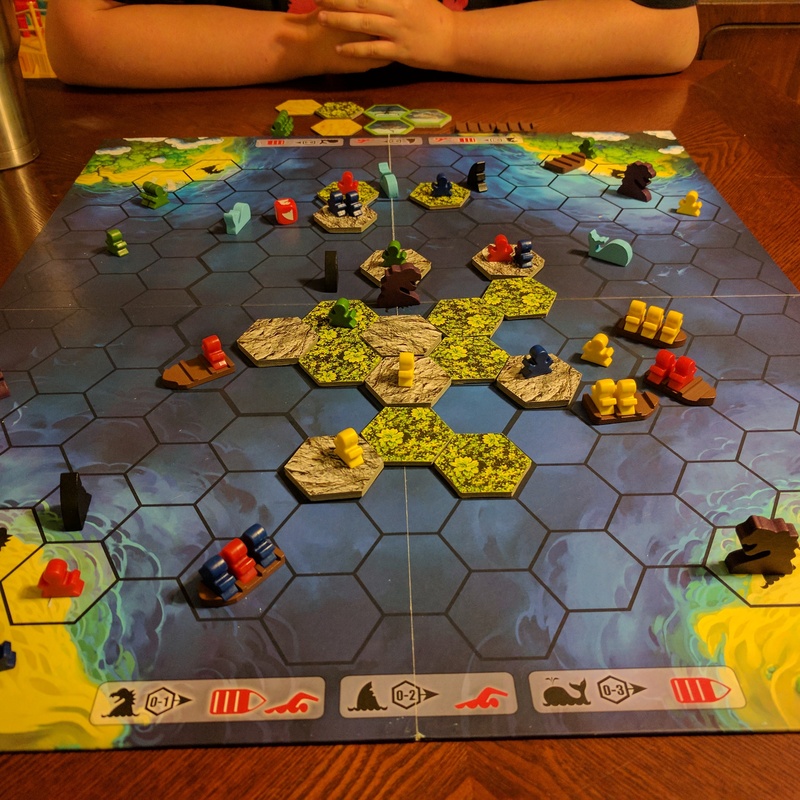 Continuing this series of reviews after just one play, I try to answer the most important questions: Does the game provide a fun, engaging experience that I would want to play many times? Does the game provide something unique that sets it apart from other games? Was the game relatively easy to learn? For Vikings Gone Wild, the answer to most of these questions is, in fact, a resounding yes. 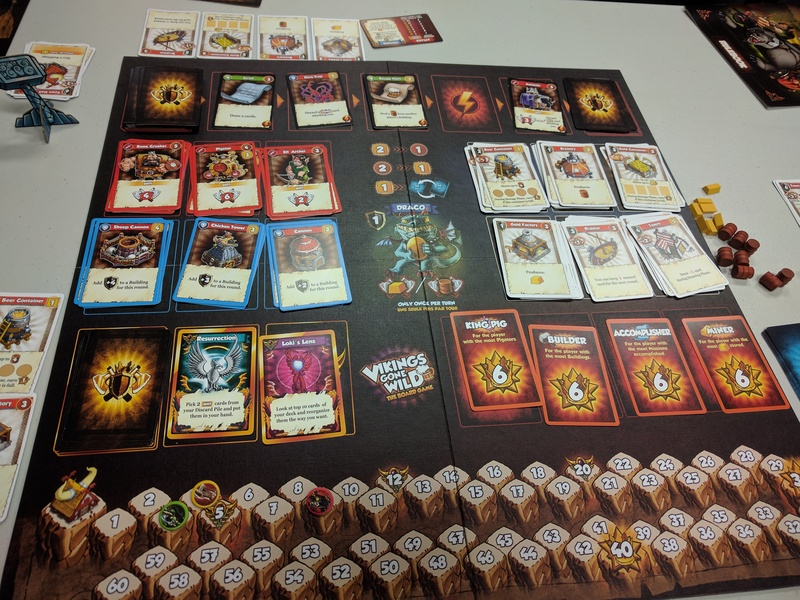 Vikings Gone Wild is a game in which each player controls a clan of Vikings building their town, acquiring treasures, and recruiting heroes and units for battle. 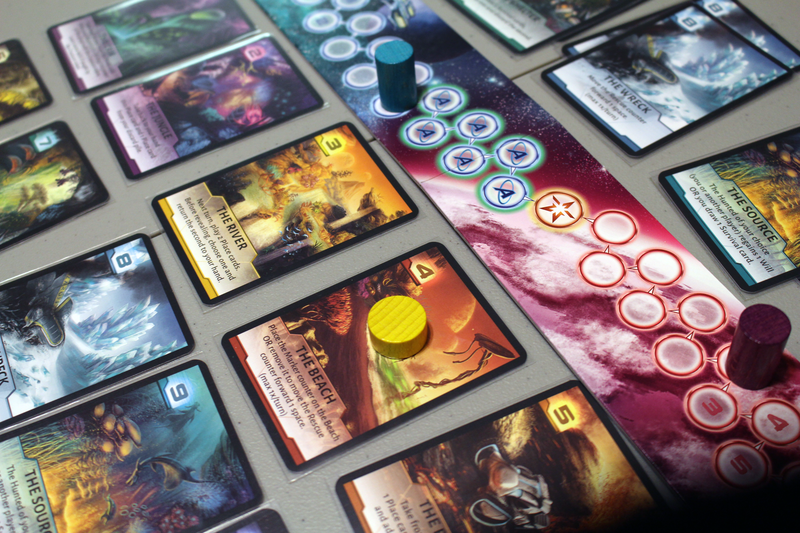 This all happens as a deck-building card game, similar to what you’ve experienced if you’ve played Star Realms or Dominion. Players begin with a level 1 Town Hall and a small deck of the most basic cards. Your two basic currencies are gold and beer, the first of which is used mostly for buildings while the later is used more for recruiting new units, although there are exceptions to both and some cards require both beer and gold. So what is fun and unique about Vikings Gone Wild? Well for one, unlike most deck-builders, it’s not a simple point grabbing game. Players must earn points by attaching their opponents and everything done to accomplish this, whether focusing on building a deck powerful cards or focusing more on buildings, is simply a means to an end. But what’s particularly fun about Vikings Gone Wild is that attacking your opponent does not hinder them, at least not directly. Successfully attacking your opponent gives you victory points. However, successfully defending from attacks does as well, so you have to be careful how much or little you attack with and when, because otherwise you may just be giving your opponent points. I think there lies the most unique aspect of Vikings Gone Wild- the focus is fairly equally on building an economic engine through buildings in your tableau and the cards on your deck, as well as being able to attack your opponents. 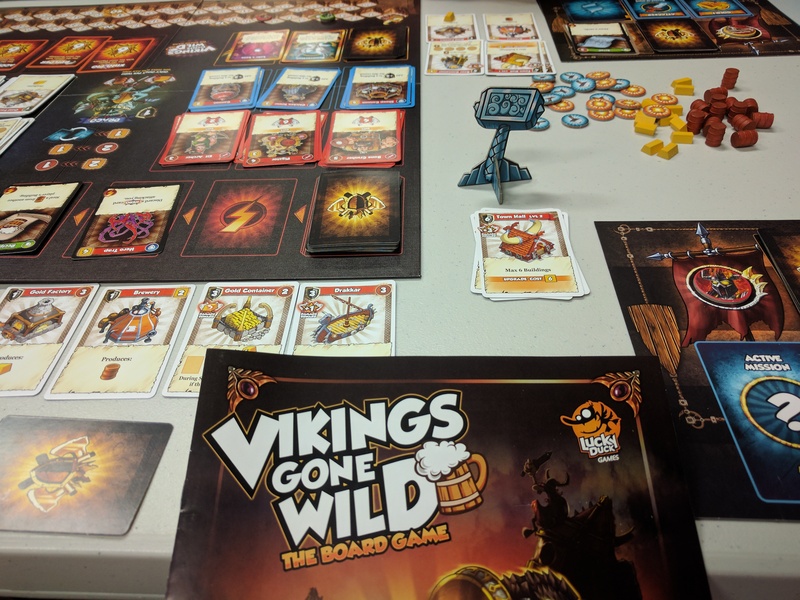 Although it has many of the same concepts that we know and love on modern board games, as a deck-builder it feels very unique, which also made me curious about the various expansions available for Vikings Gone Wild. Though the game was fairly easy to learn, considering the decent number of deck-building games I’ve played, The setup for first time players seems fairly daunting. Now that I’ve played it I wouldn’t see a problem in the future, but there are a good variety in types of cards and all these go into separate piles in the beginning of the game. I believe if you’re looking for a highly thematic Viking game, this isn’t it. If you’re looking for a great casual to middle weight game that will appeal to your friends who enjoy light civ or city-building you should definitely check it out. As far as deck-building and modern card games go, it’s one of the best. I’m looking forward to playing it again and an seriously thinking about adding it to my personal collection. Based on my first play I give it an 8 out of 10.